Here is one of the videos available on Grammaropolis. Thanks to Kelly Tenkely for this neat resource. If you're an elementary school teacher, I highly recommend subscribing to Kelly's blog iLearn Technology. 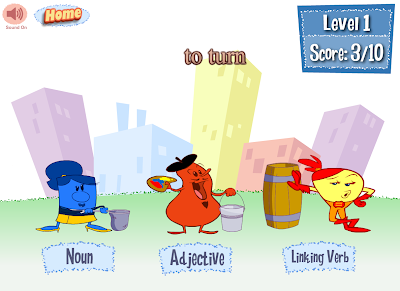 The games on Grammaropolis could provide a fun way for students to review their knowledge of the parts of speech. While I don't think it was intentionally designed for use on an interactive whiteboard, I do think that Word Sort on Grammaropolis could be a good IWB activity.